St. Vals and Boherbue kept the Cork Flag flying high in Munster Club Championship action today in Mallow. 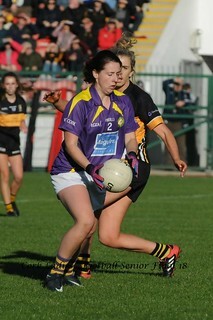 St. Vals were first up in the Senior Plate decider against Moyle Rovers of Tipperary. Vals had too much power for their opponents on the day and went on to retain their Munster Senior Plate title comfortably by 2-20 to 1-5. Next up were Boherbue Cork's Junior A League and Championship Title holders who faced Stradbally of Waterford in their date with Munster destiny. The Borherbue girls turned in another powerhouse performance to capture their Munster Junior Championship Crown with an emphatic 5-14 to 0-3 victory. Well done to both clubs on great victories and best of luck to Boherbue go forward in the All Ireland series as Cork and Munster Champions. Tomorrow (Sun 28th Oct) Eire Óg take on Cahir of Tipperary in the Munster Intermediate Final at 1.00pm in Mallow. 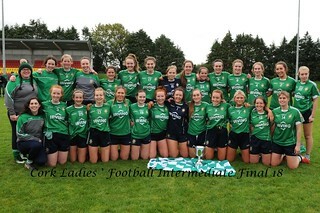 Best of luck girls hope ye can keep Corks great record in Munster going tomorrow.